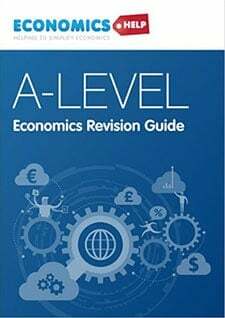 A Pigovian tax is a tax placed on any good which creates negative externalities. 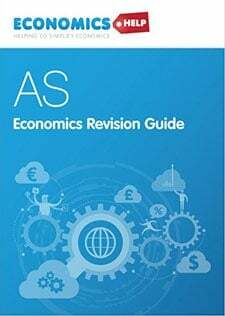 The aim of a Pigovian tax is to make the price of the good equal to the social marginal cost and create a more socially efficient allocation of resources. 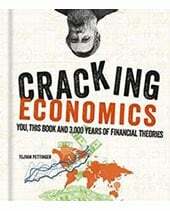 It is named after the economist Arthur Pigou who developed the concept of externalities in the 1920s. 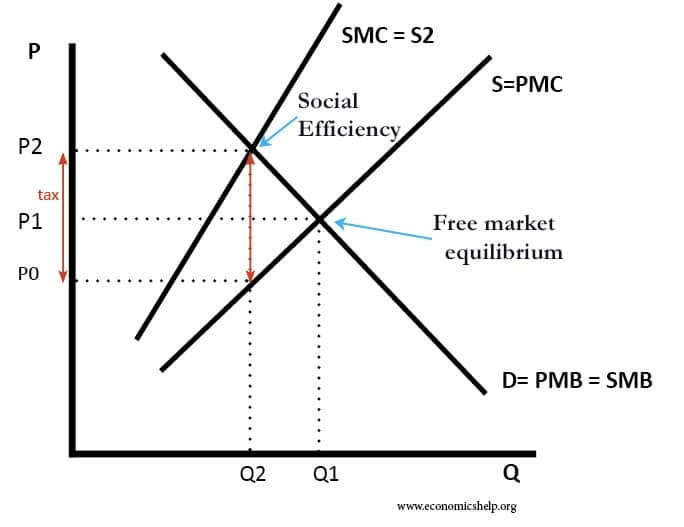 In a free market, the equilibrium will be at Q1 – where D=S. At this output, there is social inefficiency. 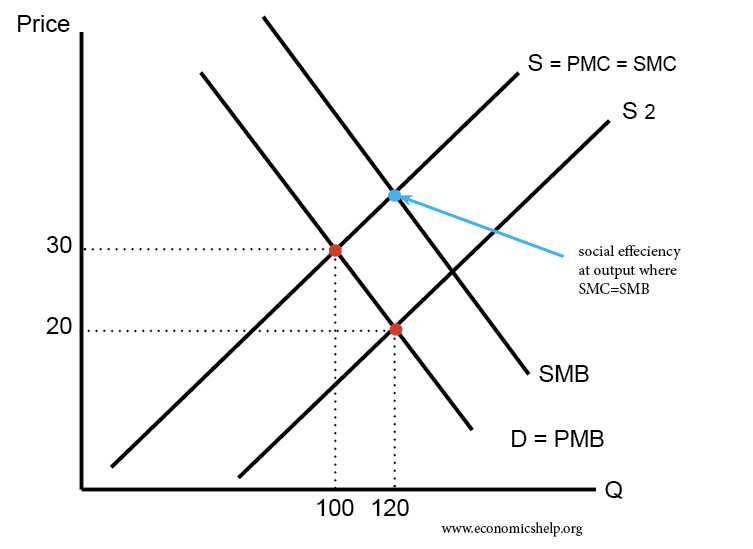 At Q1, the social marginal cost (SMC) is greater than the social marginal benefit (SMB) – there is overconsumption. 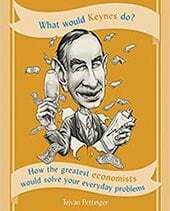 In 1920, Arthur C. Pigou wrote The Economics of Welfare which is an early exposition of this concept of externalities. Pigou noted that private business pursued their own marginal private interests. However, industrialists were not concerned with any external costs to others in society. In other words, they had no incentive to internalise the full social costs of their actions, and this led to a deadweight welfare loss. “In general industrialists are interested, not in the social, but only in the private, net product of their operations. Pigou noted that alcohol producers benefited from the sale of alcohol but did not have to pay the external costs – associated with heavy drinking, such as the police, health care and prisons. Therefore, he argued that a tax on alcohol could discourage excess drinking but more importantly raise public funds to deal with the external costs of alcohol drinking. How much? 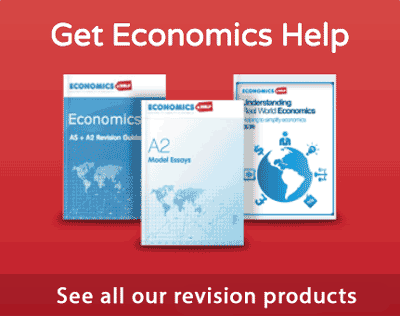 In practise, it can be difficult to measure the external costs of producing/consuming goods. For example, the external costs of driving a car include pollution, asthma, congestion, and the risk of accidents. Administration costs. There are external costs of driving in a town, but to place a congestion tax for small market towns is relatively impractical. Therefore, the tax is not practical. Evasion. A tax on good can create an incentive to find illegal methods. For example, a tax on rubbish may be justified due to external costs. However, this may lead to illegal fly-tipping because consumers find a way to avoid the tax. This could create a bigger problem than the external costs of legal rubbish disposal. Political reluctance. The biggest problem is likely to be the political costs of introducing a new tax. For example, a tax on meat has been proposed, but there is great reluctance to introduce new taxes. Tax may be insufficient. Pigou noted that for some problems, such as poor food standards, a tax is not appropriate – a better solution is to have regulations on minimum food standards or ban certain practices. A Pigovian subsidy works on the same basis – if a good has positive externalities, then it will be under-consumed in a free market. The government can give a subsidy equal to the marginal external benefit of the good.